Using our 0-6 range pH test strips when making your home food cultures ensures the safety of your culture. Keeping the pH level below 4.6 pH will keep out unwanted human pathogens. Take kombucha tea for example, with a good pH reading you'll know when the highest amounts of organic acids, enzymes, and pro-biotics are present. A quick test with a pH test strip, in a sample of the fermenting tea, will reveal the degree of acidity and provides a quick and easy method to ensure your kombucha tea has completed the brewing cycle. Our pH test strips can remove the guesswork and tell you precisely when the kombucha tea is ready to drink. 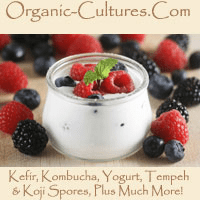 Know exactly when your food is cultured correctly or when the kombucha tea is ready to drink. No more guessing pH/acid content, wondering if your batch is contaminated with mold, or when the tea beverage or cultured food fermentation has completed a brewing/culturing cycle. Important Note: Most pH test strips being sold for kombucha tea and mold testing use have a range from 1-14 pH. While these test strips will work, their range is generally broad and can make reading a narrower range, between 2 and 4 pH, less accurate because of the wide color range. Our strips are narrow ranged and make reading the level against the color chat a breeze. Our kombucha pH test strips are different in that they provide a narrower pH range. 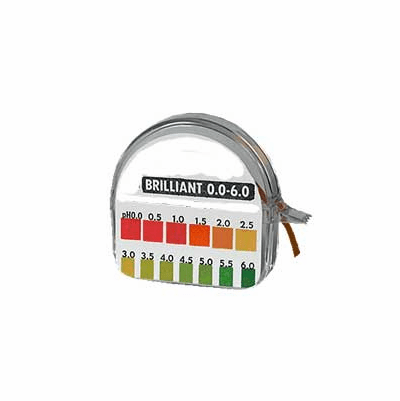 This, in turn, gives you a more accurate reading in between the 0 - 6 pH range. You can test your water kefir when you start a new batch to ensure that enough lemon or acidic juice has been added. Dairy type food cultures should be tested at the beginning and end of the cycle, to see if the pH level has dropped. Sample kombucha tea when a new batch of tea is made, to ensure that enough starter tea has been added and that the pH is below 4.0. Kombucha mushroom tea is ready to drink when the acid content is between 3.2 and 2.8 pH. If the tea is below 2.8 pH, then the tea is too acidic and should be diluted to the proper pH. Each package contains a 15-foot roll of pH test paper and matching the color chart. Provides for approximately 1000 tests. Order this simple tool to take the guesswork out of brewing your kombucha tea and to provide an extra step of safety to your brewing process and culturing.